What is the best way to save money if you are a gamer or someone who uses lots of AA AAA batteries at home? Didn't we choose to get a re-chargeable one and get a nice battery charger as well. That would save us lots of money, from buying a non-rechargeable one. 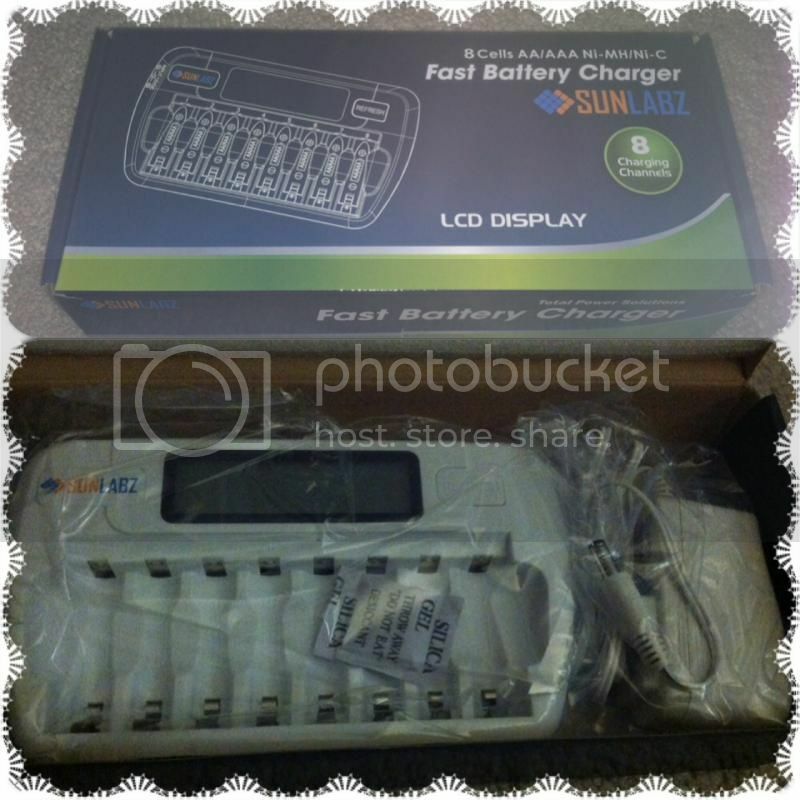 I have the opportunity to try an 8 Bay/Slot AA AAA Ni-MH Ni-Cd LCD Fast charger and smart battery charger and I was so thrilled to obtain the product. It came through USPS with I say good packaging, the box isn't too big and just right for the product to fit in. I examine the item I don't see any effects of damage due to the shipment. Very well and impressive. Now, I was way too excited with the product itself. I gather at least 8 of our rechargeable batteries that need to be recharged at once. We have a 4 slot charger, but sometimes that isn't enough, especially when the whole family starts to play Wii Games in our premises. I like the LCD or digital appearance of the charger on the top of the slots. You can reset it and when you charge the battery you will see those who are charging and those batteries that are defect. As for my experience, we never thought and find out which one isn't working anymore until we use the amazing fast battery charger. It will show on the LCD as it will states no charge or error. The charging is quite fast too, I forgot to timed it, but it never took me a day or two for the charging to be full. Unlike the one we have, I plug it there the whole day and on the next day still the lights are on and I have no clue if whether the battery is done or now. Though, I always assume that when the lights goes off, that means it's full. Overall, my experience with the Fast Battery Charger is incredible. I am very happy that they made this product. Easier to have the battery charge at once. This is one of a great holiday gift idea if you knew someone who is into using many AA AAA re-chargeable batteries. Looks like a very good one to have around at home. Wow! this is something we need in the house. My apo has so many battery-operated toys. You're right, getting a battery charger is so practical. Why didn't I think of that? I'll probably be needing one this Christmas as my son will surely receive lots of battery-operated toys. Thanks for the reminder!